Natalija Marshall and Christ the King take on Mater Dei Friday in Springfield, Massachusetts, in a clash of legendary programs. She doesn't know his name, but she's keenly aware of his impact. 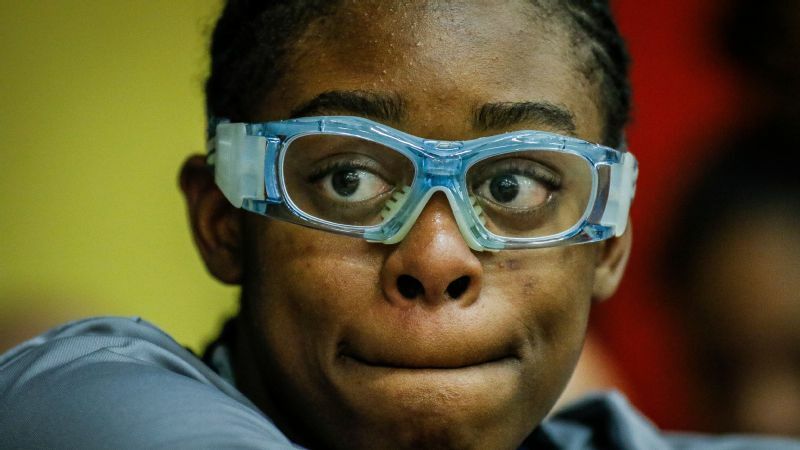 Natalija Marshall, a 6-foot-5 junior center for Christ the King (Middle Village, New York), was not yet in sixth grade when she played in a summer basketball tournament and encountered a referee's encouraging words. "He said, 'You can be one of the best players we've had come out of New York,' " Marshall said. "I said, 'No, I can't. I just play for fun. I'm terrible.' "
That referee went on to mention other notable players who have come out of New York recently and are now in college -- Sydney Zambrotta of George Washington, Dominique Toussaint (Virginia) and Sierra Calhoun (Rutgers). Marshall didn't recognize those names at the time -- basketball was just her hobby, after all. But those words made an impression. "It kind of stuck with me," said Marshall, the No. 12 player in the espnW HoopGurlz Super 60 for the 2020 class. 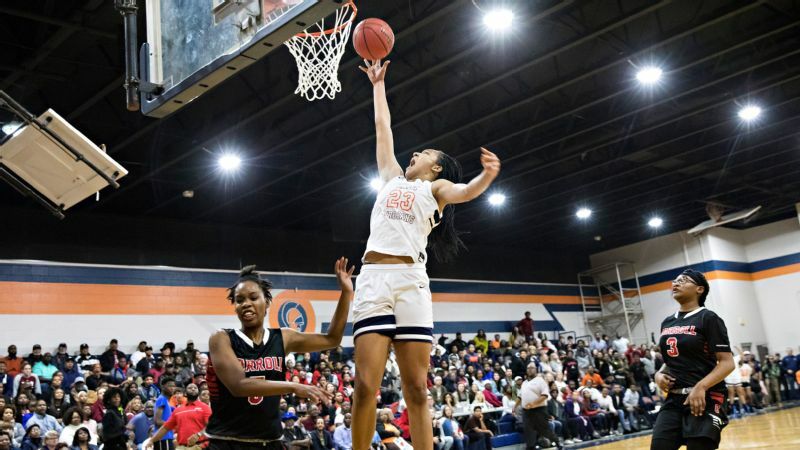 After that, Marshall dedicated herself to basketball, and, by December of her freshman year, she became a varsity starter at national powerhouse Christ the King. This season, Marshall is averaging 13.4 points, 7.4 rebounds, 4.2 blocks and 3.8 assists for the Royals (9-4), who have survived an 0-2 start and are set to play Mater Dei (Santa Ana, California) on Friday in a spotlight game at the Hoophall Classic in Springfield, Massachusetts. "[Now] I think we are in a really good spot," Marshall said. "I'm excited." Marshall is the only child of David and Anne, who were collegiate athletes and are in the University of Milwaukee Sports Hall of Fame. David, who is 6-2, played soccer. Anne, who is 5-10, loved basketball, but she injured both her knees as a freshman in high school and switched to track and field, throwing the shot put and discus. The couple met at a study table in college, and once Natalija was born, they put her in just about every sport ... other than basketball. But Natalija -- the spelling of her first name is a nod to Anne's Serbian roots -- grew so fast that she was taller than her 5-foot-1 teacher by the time she started first grade. 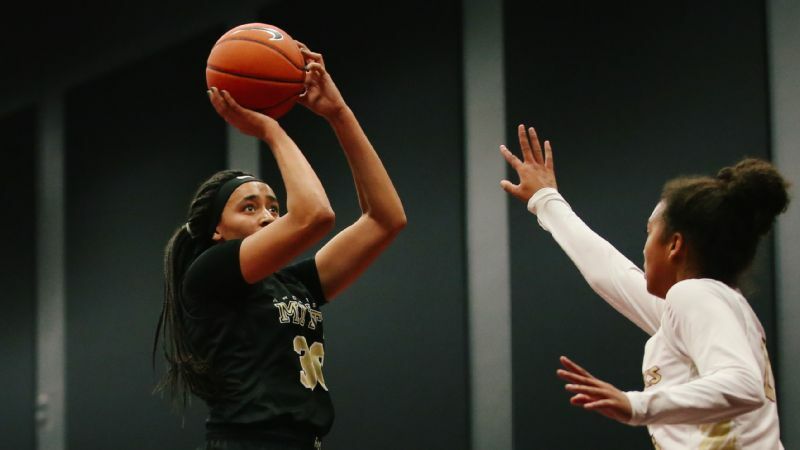 At first, it was her weekend hobby, but once Marshall realized she had talent and could use basketball as a vehicle to earn a college education, everything changed. Just before her freshman season, Marshall began working with coach Thomas Davis and his Exodus NYC club team. Marshall was already 6-3 by then, and Davis saw her potential immediately. "She had a high motor and was very skilled," Davis said. "She took direction well, and she could shoot." Davis said Marshall seems to get taller every time he sees her. Marshall, he said, could one day emerge as the best post player to come out of New York since Tina Charles left Christ the King for UConn 13 years ago. "The biggest things we've tried to do with her is work on her leadership skills and to let her know she doesn't have to be what people think of traditionally as a post player," Davis said. 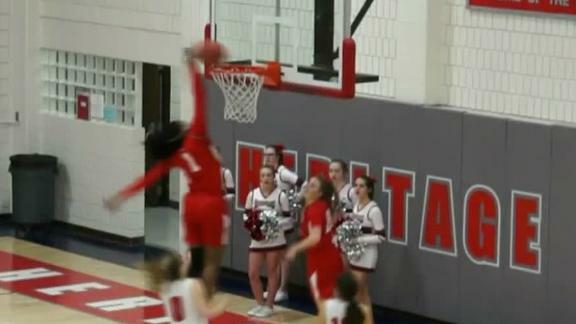 "We've had her face up more instead of back to the basket. We had her use her speed and length to keep defenses off balance. Now she's using the 3-ball, and she can grab a rebound and start a fast break on her own." Marshall has already led Christ the King to a considerable amount of glory. Last season, the Royals went 29-1, winning conference, city and state titles before falling in the federation tournament. Christ the King coach Bob Mackey said he witnessed Marshall turn the proverbial corner by the end of her freshman season and the start of her sophomore year. "She always wants to do a little bit more to improve," Mackey said of Marshall's work ethic. "For 6-5, she shoots the ball really well. She has to get stronger. But that's going to happen naturally." 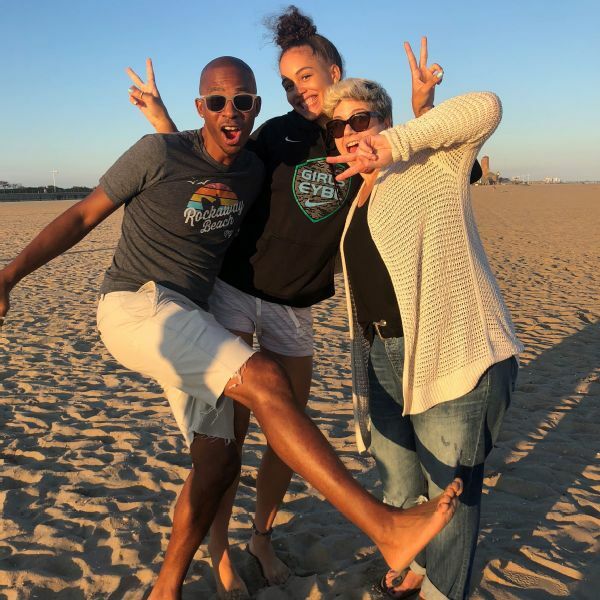 Marshall is more worldly than many 16-year-olds, traveling with her parents to countries such as France, Spain, England, Holland, Hungary and Mexico. In addition, they visit Anne's family in Serbia every other summer. Natalija Marshall wants to land on a program that makes her feel at home. "I'm proud of the young woman she's become," said Anne, who is a professor at Lehman College in the Bronx. "She has been exposed to different cultures, and she is keenly aware of issues such as gender inequity." David, who is a creative director for a digital publication, marvels at his daughter's maturity. "She has spent a lot of time around adults like us and our friends," David said. "We talk about politics, race and climate change. "She's young, but she sees the big picture." An "A" student who loves math, Marshall said she is considering college majors such as business, finance and psychology. Choosing a college will likely be significantly more difficult than selecting a major for Marshall, who is sifting through scholarship offers from virtually every major basketball power in the nation. Marshall said she will start taking visits this spring. 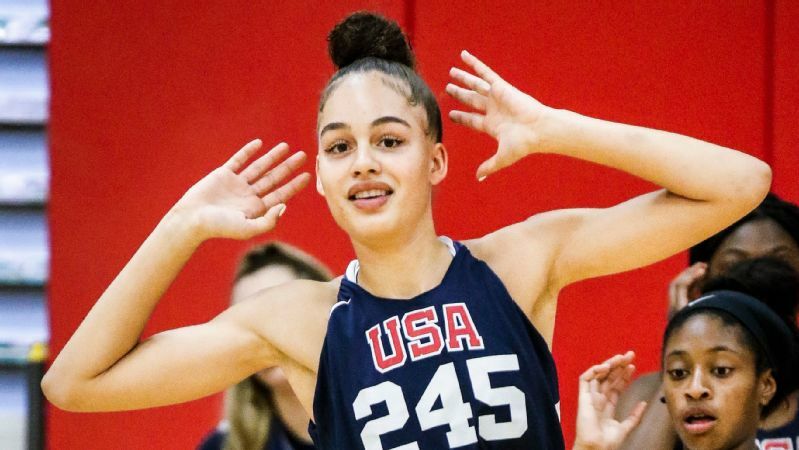 Notre Dame and Stanford are the two schools she is sure she will tour, and Marshall hopes to make her final choice by late May. "A family feel," Marshall said when asked what she is looking for in a university. "My parents and I are so close. I'm an only child, so it's just us three. Academics are a huge part of this, but I want a college that feels like a home away from home."